Homemade boysenberry pie recipe with fresh off-the-vine boysenberries, a cross between blackberries, loganberries, and raspberries. Come late May and early June, my mother’s boysenberry vine comes alive with fruit. Boysenberries look like blackberries, but are actually a cross between blackberries, loganberries, and raspberries. As such they fruit much earlier in the season than blackberries, and they are more delicate in touch and taste. This berry pie recipe is easy to put together! The tricks are to let the whole berries macerate in sugar first, and to use instant tapioca as a thickener. You can use cornstarch instead of the instant tapioca, but we found that it is harder to gauge the correct amount and tapioca has a nice consistency that works well with berries. 1 Toss berries with sugar, lemon juice, nutmeg, and quick tapioca: Put berries, sugar, lemon juice, nutmeg, and quick tapioca in a large bowl. Gently fold so that the berries are all coated with some sugar. Let sit for 30 minutes. 2 Roll out bottom crust: Preheat oven to 400°F. Roll out one ball of pie dough on a lightly floured surface to 12-inch diameter. Line the bottom of a 9-inch pie pan with the dough. Chill in refrigerator while you roll out the top crust. 3 Roll out top crust: Roll out second ball of pie dough. If you plan to do a lattice top, as pictured, prepare the dough strips as described in How to Make a Lattice Top for a Pie Crust. 4 Scoop berry mixture into pie crust, top with top crust or make a lattice top: Scoop berry mixture into dough-lined pie dish. If you would like your pie to have a lattice top, weave strips of pie dough over the top of the fruit-filled pie dish. If you would like your pie to have a solid top, place the second rolled-out pie dough crust on top of the pie. Press ends of strips into the rim of the bottom crust. Trim the edges to 1/2-inch. Fold the edges back over themselves and crimp to seal. If you are using a solid top crust, score the top to create air vents. Gently brush the top with beaten egg. 5 Bake: Place pie on middle rack of the oven, on a baking sheet to catch any juices that might bubble over. Bake at 400°F for 30 minutes. Place a sheet of aluminum foil over the pie to protect the edges and tops from getting burnt. Reduce the heat to 350°F and bake for an additional 30 minutes, until crust is browned and filling is bubbly. Remove from oven and place on a wire rack. Cool completely before serving (or the filling will be runny). Hello! All photos and content are copyright protected. Please do not use our photos without prior written permission. If you wish to republish this recipe, please rewrite the recipe in your own unique words and link back to Boysenberry Pie on Simply Recipes. Thank you! Love how easy it seems!! Trying it tomorrow night for thanksgiving dinner Thursday! Boysenberry pie is a family classic for me, it brings back memories of my grandma’s pie. I tried this recipe for my very first pie ever and my whole family loved it! Boysenberry pie is now the family’s favorite dessert. Thank you for the recipe I have used it about a dozen times in the past year! P.s. I have used cornstarch as well as tapioca flour with great results, and I have also substituted lime for lemon when I don’t have it on hand. Hi Katie, I’m so glad everyone loved it! Hi! I’m a bit of a baking newbie. For the instant tapioca, do we just put it in, in powdered form? So like, not pudding form? Thank you! 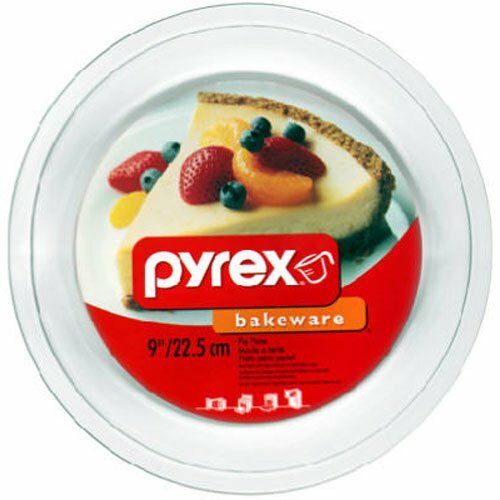 Is it possible to construct and then freeze the pie before cooking? I’m looking to make 5-6 for a weekend event and I’d like to have them ready to bake and serve from the oven on the day. I just made this pie! Not quite as pretty as yours, but a big hit with the husband. Blackberries are in season here in Northern California. This was the perfect seasonal treat. An extra thank you for the tips and tricks making the lattice. I would not have had the guts to try it without your help. One question – Whole Foods carries Tapioca starch (which I used) but not instant Tapioca. Does it matter much?? Wow… thank you so much for this wonderful recipe! The pie crust recipe and tips were the most valuable to me. I didn’t have enough boysenberries so I bulked the pie out with slices of apple, it was truly divine and looked a million dollars. My boyfriend couldn’t believe the lattice top and now thinks I’m amazing ;) Thanks so much! Can I substitute cornstarch for the tapioca? Looking forward to making this! Quick question, in step 5, should the foil go on at the start or after the first 30 min of baking? How many servings does one pie have for a 9 inch pan? I used this recipe. I appreciated the picture of what boysenberries looked liked and the health infor. I used prepared frozen pie shells,I pricked the bottom crust and bake it @ 350 degrees with aluminum foil around the crust(to prevent burning once the fruit is added). The pie was simply delicious. The quick cooking tapioca made the pie look like the photo. There are instructions on the tapioca box . When I have attempted to make berry pies in the past, my bottom crust is soggy. Is there any methods to consider so that the bottom crust cooks and doesn’t just turn to mush?! I love your site – keep the deliciousness coming, Elise! I don’t think I can make a pie crust by myself, therefore I am wondering whether you have any suugestions for a good brand of pre- prepared pie crust? I really want to make one but its the crust that makes me loose all enthusiasm. Can you make fruit pies with frozen berries? It seems like if you are going to mascerate them anyway they would get to the consistency of thawed. Or perhaps cooking while still frozen? Obviously I have no experience with this. This looks wonderful. Berry pies are delicious, but they tend to be so expensive in the grocery store that I never want to buy enough for a pie. I love the idea of growing them though. How difficult are they to keep happy (other than making sure they don’t take over the yard)?